Year after year, many among the million-plus people who line the streets to watch the Pride parade in New York City crave a fightback perspective along with the celebration of their sexual and gender identities. 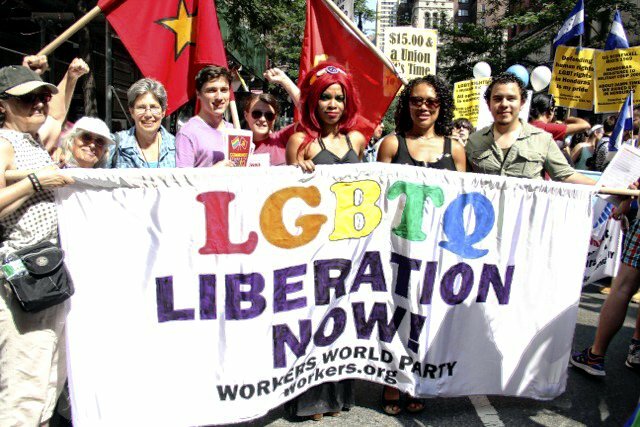 The revolutionary contingent organized by Workers World Party was a refreshing display of struggle in the midst of attempts by big corporations to dominate the “official” New York City Pride march on June 29. Our dynamic group included many young activists from FIST (Fight Imperialism, Stand Together) and our comrades in struggle from El Colectivo Honduras USA Resistencia — Partido Libre. We had the honor of marching with Nelson Arámbu, a founder of Honduras’ Movement for Diversity in Resistance and a leading lesbian, gay, bi, trans organizer in the National Popular Resistance Front against the U.S.-backed coup regime in Honduras. The revolutionary contingent called for the release of whistleblower and political prisoner Chelsea Manning and justice for transwoman Islan Nettles, who was murdered in Harlem. 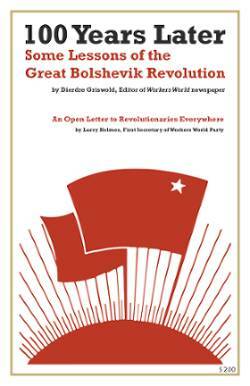 It also urged people to join the fight for a $15-an-hour minimum wage. WWP has a proud history in the lesbian, gay, bi, trans and queer struggles. Members, allies and future members were among those who fought the cops during the 1969 Stonewall Rebellion. This was WWP’s 43rd consecutive year marching in Pride. Shout-out to our comrades and allies from BAYAN USA NE, GABRIELA USA, Nodutdol for Korean Community Development, Audre Lorde Project and others who also had terrific political contingents.